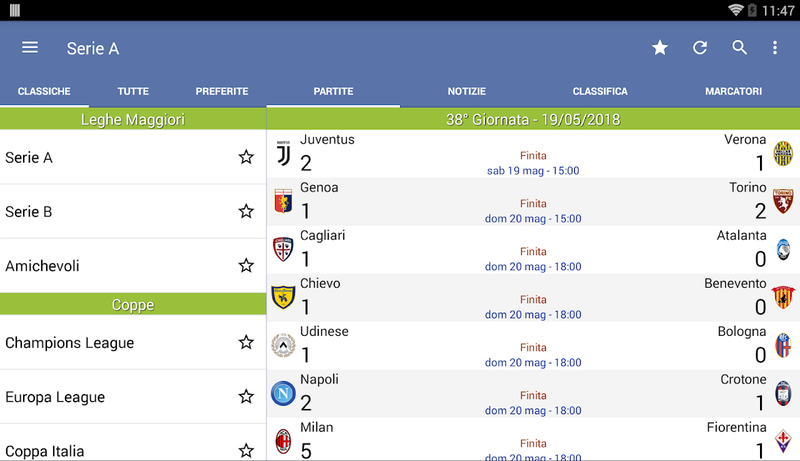 Italian Soccer is the app already downloaded by more than 5 million soccer fans in Italy to follow all the Italian football and the best of the European leagues: - Italian leagues: Serie A, Serie B, Lega Pro, Serie D, Campionato Primavera - Cups: Champions League, Europa League, Coppa Italia, Supercoppa Italiana ed Europea, Coppa Italia Lega Pro - European leagues: Premier League, Bundesliga, Ligue1, La Liga, Eredivisie, Primeira Liga - National team: Europei, Mondiali, Confederations Cup, Under 21 FOOTBALL ON TV Don't miss a single match broadcasted on TV: bring with you the complete schedule of all matches on terrestrial and sat channels, together with the weekly listing of sport programs. 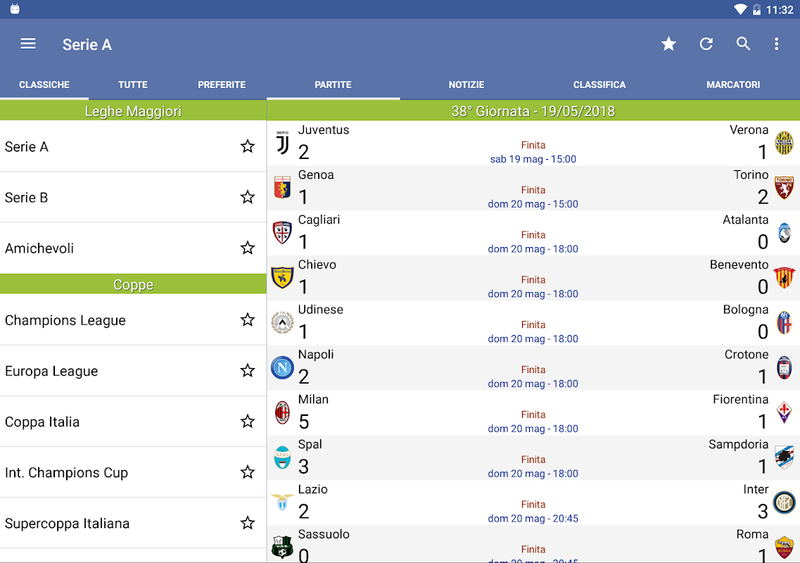 ODDS Comparing odds of the main bookmakers has never been easier: quickly check the open odds and who's offering the best odds among the available bookmakers, including Eurobet, Sisal, SNAI, TotoSì, Intralot, Lottomatica and others. 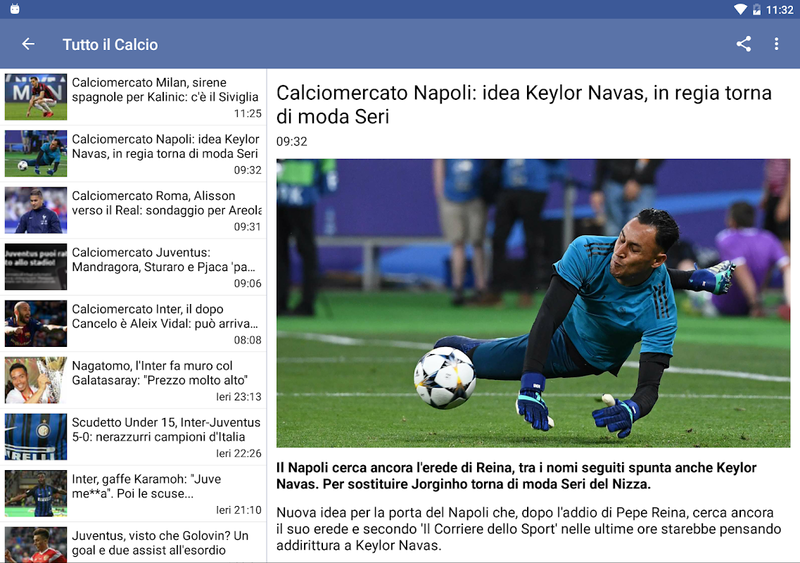 FOLLOW THE CHAMPIONS ON TWITTER Italian Soccer brings to you tweets, photos and videos posted by teams and players, so you'll always be updated on news and gossip straight from your favorite football champions. HISTORY Who conquered the Champions League trophy on 2010? Who won the derby the last year? Thanks to the complete archive, you'll have the answers to these an many other questions: football has no more secrets. 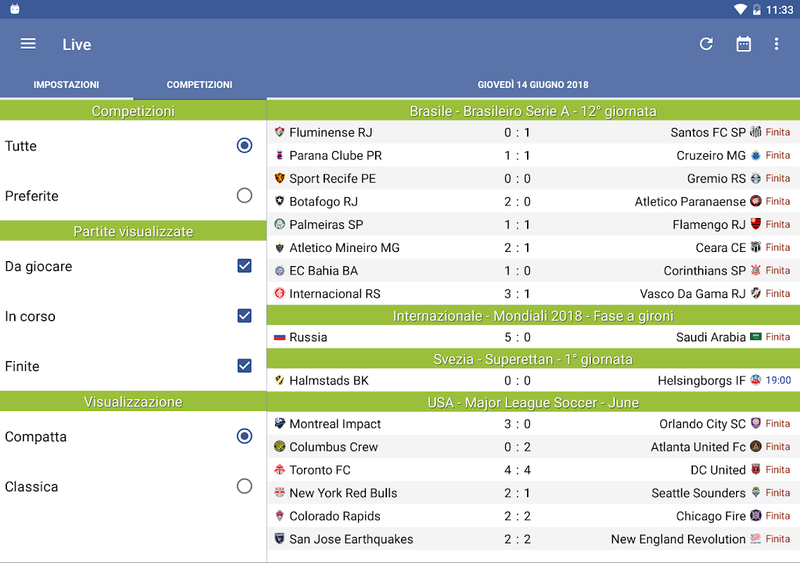 FAVORITE TEAM All the info you'll ever need about your favorite team always with you: the complete match schedule, players' detail, team awards and latest transfers. FANTACALCIO Italian Soccer is the definitive tool for all Fantacalcio players, thanks to the ratings always available after each matchday, and to the detailed data available: - probable lineups - goal with minute and assistman - scored, saved and missed penalties WATCH GOALS AS THEY HAPPEN Videos of the ongoing matches immediately available, so that you can see goals and the best highlights as they happen. 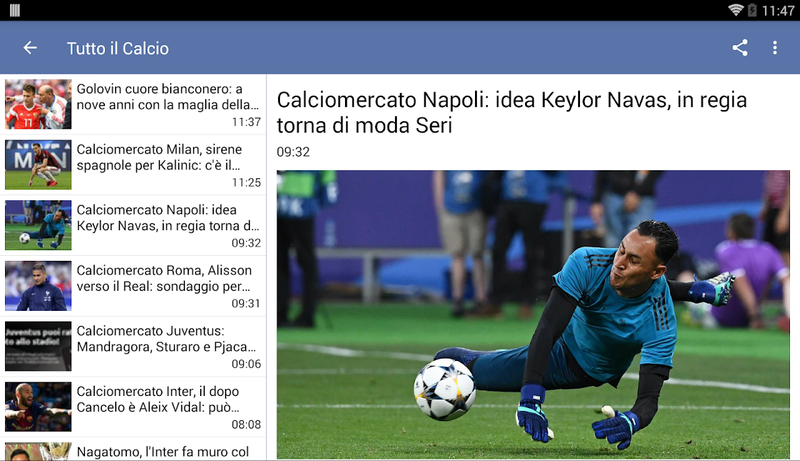 SOCIAL Discover the Social section, where you can share the passion for your favorite team, and join thousands of other football fans who already support their teams on Italian Soccer.  Is Italian Soccer 2018/2019 yours? Claim it!